For those with business premises, you can suddenly be hit with serious property costs within your accounts. Staff and HR costs tend to be the highest expenditure item with any business, but property ones come in a close second. Larger businesses may well be in the know on this already, and have ways to correctly acknowledge this in their profit and loss, balance sheets, and other financial statements. Everything from correct accruals, to carefully balanced assets and liabilities, to fine-tuned costs from turnover. Smaller businesses however often don’t have this luxury, and find themselves muddling through all these costs that keep mounting up. Suddenly the initial rent or purchase price was the easy part of the budget – what about all these other ones that keep cropping up? Start-ups and thriving businesses are most at risk, as their focus during this growth phase is more on the bigger-picture issues rather than this sort of detail. Plus, they might be outgrowing premises soon anyway and so push the whole thing into the future. Well don’t be fooled, these can be serious costs that can cripple any business. Even the well-versed bigger businesses need a little helping hand and reminder of the basics. Therefore, here are 10 of the top money matters to be aware of with any property interest for a business. These are deliberately more general to understand the principle at hand rather than getting bogged down in how they are then correctly accounted for – that’s the job of a good accountant. 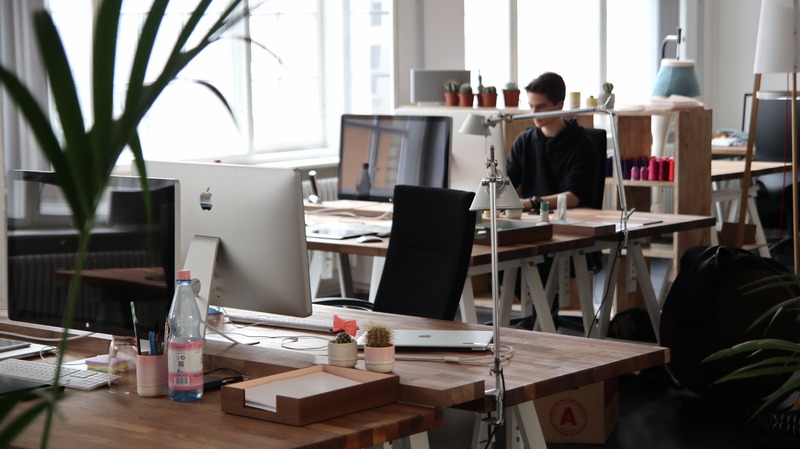 The focus of these tips is a small business with rented premises, whether a traditional letting of a warehouse or a slick serviced-office space. These therefore cover the nuts and bolts of such business property costs, yet are still applicable for all other types of business and for those owning their property. This is a big cost that can be often forgotten when new to business lettings, or if you’re dealing with otherwise ‘all inclusive’ costs assuming that isn’t due directly when in actual fact it is. It’s like what council tax is for people’s homes, a tax for occupying a business area payable to the local authority, with two important factors to consider. Firstly, there can be all kinds of changes to make to these billed costs to reduce this liability. These range from a full-blown appeal of the main rateable value, to simply getting the start date correct. There may also be forms of exceptions or reliefs available, for example periods of vacancy, and more importantly for a lot of businesses, small business rates relief which can process up to 100% reduction in this cost. Secondly, the invoices are often generated on a whole year’s basis from April one year to March the next, whereas you can often agree a regular monthly payment-plan just like your council tax at home. This needs correctly agreeing and then accounting for in your books and cash-flow predictions. These can be a mystery that again crop up without warning; an additional service charge that a landlord charges for maintaining any communal areas at a property. So, there may be shared stairs or rear car park areas that need looking after and the costs apportioned between all the occupying tenants through this charge; you’ll see the same principle when you purchase a long leasehold interest of a flat in a residential block. So firstly, double check whether you will receive this charge, if it does exist and whether it is agreed to be inclusive of the main rent possibly. But then secondly, look at ways to getting this cost crystal-clear and as fixed as possible. So maybe a fixed-level through the years, or a top-level cap of costs, as you can get hit with sudden one-off costs like a new communal boiler or major redecoration cost. They should have full annual accounts as well to clearly explain these and budget for the next year, although check that these are up to date and you don’t get any nasty balancing charges, particularly if you’re taking on an assignment of an existing lease interest. There’s the three main utilities that everyone will be aware of – water, electricity, and gas supply for any heating or cooking facilities. Electricity is probably the guaranteed ones, as you may not have any gas supply, and any toilet or kitchen areas are shared and dealt with by others. But double-check these, and not only what is actually supplied but who (and when) gets charged. Remember that these need to reflect actual use, so basing upon actual reads is important and seeing if any measures like LED lights are worth investing in to pay off with lower bills over time. You may also be able to agree contracts for a year or two to benefit from beneficial rates and costs. You then have three other extra utilities that reflect today’s modern world – phone lines, internet provision, and even aerial lines. These can be combined to some degree, and of course the aerial ones for TV more applicable for homes however still possible in a business context. So get to the bottom of what is already supplied, and what else you need. Any new connections can have serious delay on things and hefty one-off costs for installation and gaining consents, therefore look at any more out-the-box options as well such as mobile use for internet. As with the main utilities, see what contracts and rates can be agreed, considering your true usage and adding into your budget figures. This will be your biggest expense and therefore top of your priority list. Even if you own the property with no rent and landlord to think of, remember any borrowing and mortgage costs as well. However, two words of caution here to make sure you get these accurate. Firstly, be sure about any changes to these levels over time, for example a rent review or adjusted rent. During the initial negotiations you may also be able to agree favourable rent discounts which is the norm with commercial property lettings, even if this is just for the initial fitting-out period. This could be a one-off rent free at the beginning or a slower reduced rent over time; see what works out best in your accounts and cash flow. Secondly, understand the timing of these payments as they’re often not only in advance but up to 3 months in advance. That can be a lot of money to part with and worth carefully planning for in your cash flow predictions. Of course, properties do need some loving TLC as you’ll know from your own home. It may be a quick reactive repair of a leaking toilet, or more proactive redecoration and refurbishment. Therefore plan this ahead of time, and when this all needs to happen, including any initial fit-out costs. But then understand how this relates to your lease and landlord, and who forks out for the bill. Make sure you know what extra costs you’re going to incur by moving into and then out of the property, as unfortunately this won’t magically happen cost-free. On the repairing line above, there may be an initial fit-out or decoration cost to account for, and at the end a final dilapidations liability as you remove certain items and make good the property (often a more onerous obligation than when you just rent a residential property short term). Or even the simple moving costs can be a big surprise, from the removal van, to people’s time spent on, to additional packaging and refuse removal. It all adds up. Think of any additional charges you may incur over time at the property, particularly as part of the operation of your business. Examples include any additional car parking, and ability to use and hire extra spaces like meeting rooms and storage areas. Even more non-property costs may be there but linked to you using this new property, for example virtual secretarial and office duties. Let’s not forget all the different areas of expertise and professional advice you might incur, the two obvious ones being your accountant and solicitors when it comes to the legal documentation. Property surveyors and valuers may also be required, not only at the beginning but if you need to process any formal requests for, say, landlord’s permission on anything during your occupation. And a final point is a deposit, not an automatic thing as with residential lets, but they can be a hefty bill when they are needed. In actual fact, even though you may not automatically need them, you may choose to offer them with situations of a poor covenant-strength of your business and not wanting guarantors. When you do need them, in principle you should get the money back at some point in the future, so account for them correctly. Whether you’re a direct business owner and employee, or an external advisor, being able to get to grip with the true and longer-term property costs of any business is critical. Failing this, you risk crazy costs spiralling out of control and sucking any form of profit out of the business. Therefore, these top ten points will help you take a step back and know the basics. Even if these are already known, then a reminder will still help to make sure they’re correctly accounted for and planned in the future.